The most readily understood evidence for the importance of Culturally Maturity is the kind we find with “Front Page News” posts on this site: Culturally mature perspective makes essential challenges of our time more understandable and addressable. But there are also observations of a more conceptual sort that provide ultimately more rigorous sorts of evidence. One of the most significant is what Creative Systems Theory calls the Dilemma of Trajectory. 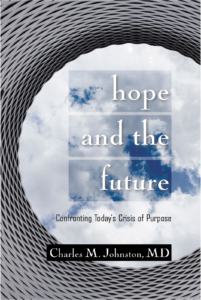 The following descriptions of this quandary and its implications is excerpted from Hope and the Future: An Introduction to the Concept of Cultural Maturity. “Deeply understand the concept of Cultural Maturity and it is hard to escape the conclusion there is really no other option. 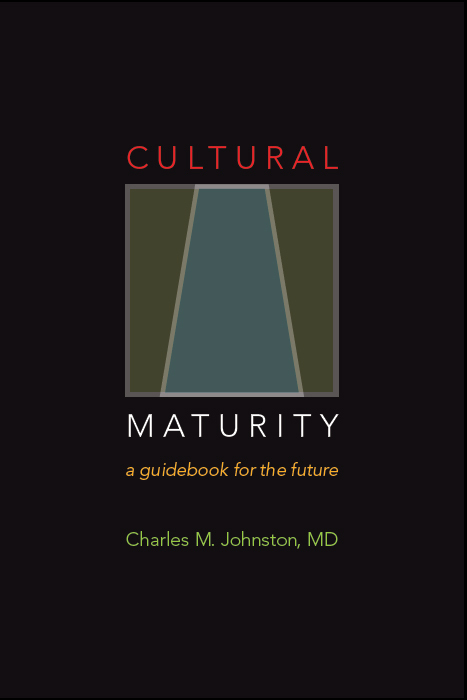 Certainly it is difficult to conceive of how it would be possible to gain the new capacities that future challenges will require—certainly any time soon—without the changes in ourselves that the concept of Cultural Maturity describes. But there is also an important more “structural” argument for this conclusion. Going forward as we have has simply stopped being an option. Creative Systems Theory calls this the Dilemma of Trajectory. The Dilemma of Trajectory describes limits to how far culture’s story as we have conceived it—not just recently, but at any time in the past—can take us. The direction that has gotten us to where we have come cannot, simply in some new form, get us to where we need to go. Something at similar to the more integrative/systemic picture culturally mature perspective makes possible becomes essential for going forward. There is really no fork in the road. To understand this assertion, we need to put it in historical perspective. Over the course of history, human advancement has followed a generally understandable, if sometimes bumpy, “onward-and-upward” progression. With each past chapter in culture’s story we have witnessed increasing individual freedom, human authority, and technological prowess. Today, we tend to think of ourselves as having reached a pinnacle in this journey. We celebrate a perceived final realization of individual identity and free will, ultimate dominion over the irrational in ourselves and over the natural world, and ever-more wondrous invention as the solution to our problems. But however rich and powerfully significant the past’s onward-and-upward narrative has often been, continuing to cling to it presents fundamental problems. We confront contradictions that usual ways of thinking leave us unable to address. While what we have reaped, and will continue to reap, from culture’s evolution toward ever-greater individuality is profound, the future clearly as much cries out for a new appreciation of ways in which we are related—for a fresh understanding of caring, community, and the common good. And while our ever-greater human authority—over nature, over our own bodies, over life’s deep mysteries—has similarly had immense significance, in a related way today, its opposite is arguably as much part of what is needed—a new humility to what we cannot control, a new sensitivity to when we should be listening as opposed to directing (whether the voice needing attention is the natural world, our tissues, or the unfathomable). And while ever more complex and wondrous inventions and technologies will certainly play a major role in shaping our human future, in parallel with these other observations, just as important for our well-being will be greater appreciation for the limits of technology as a human solution and an ever-deeper commitment to assuring that what we create serves ultimate good. On confronting such apparent contradiction, a person could equally conclude that culture’s job is to go forward and that its job is to go back. Indeed, the ideas of many well-intentioned people can suggest that going back is the answer. We often hear overt claims of that sort with the more radical of religious and spiritual ideologies and at least statements that romanticize the past in some of the more extreme of liberal/humanist, feminist, and environmental positions. Many debates about the future become little more than games of tug-of-war between these two equally insufficient options. Any concept of the future that can provide substantive guidance for the leadership tasks ahead must be able to resolve this apparent contradiction. Without a way to reconcile the Dilemma of Trajectory, we are at a dead end. A couple of themes Creative Systems Theory draws on in describing how cultural systems evolve—the role of polarity in how we think and the fact of multiple intelligences—provide a more specific kind of evidence for the Dilemma of Trajectory. They point toward how continuing forward as we have would sever us from much of what most makes us human. They also point directly toward how Cultural Maturity’s changes offer an antidote. History teaches us that polarity has evolved in a consistent and predictable way through each previous chapter in culture’s story. One thing we see with this evolutionary progression is ever-increasing distinction between polar opposites—for example, between humankind and nature, between mind and body, and between the individual and the collective. While always before this direction of change has benefited us—indeed it has been key to all of culture’s great advances—it really can’t continue. A further distancing of ourselves from nature, our bodies, or the collective would have dire consequences. The recognition that intelligence has multiple aspects further highlights the Dilemma of Trajectory. The Enlightenment’s grand goal was to bring the whole of understanding not just into the light, but into the light of pure reason. In the Modern Age, reason—in combination with a lesser, essentially decorative contribution from more subjective aspects of intelligence—came to define not just intelligence, but truth. Going further in this direction can’t work. At the least there is how the sophistication of understanding needed for the future must reflect not just knowledge—which rationality does well—but also wisdom. But there is also a related more dramatically consequential observation. Continuing forward as we have would eventually disconnect us from essential aspects of intelligence. We would not do well without the emotional sensitivities essential to relationship, the power of imagination that lies at the heart of art, or the more primitive aspects of human sensibility so central to a pleasurable and healthy existence.